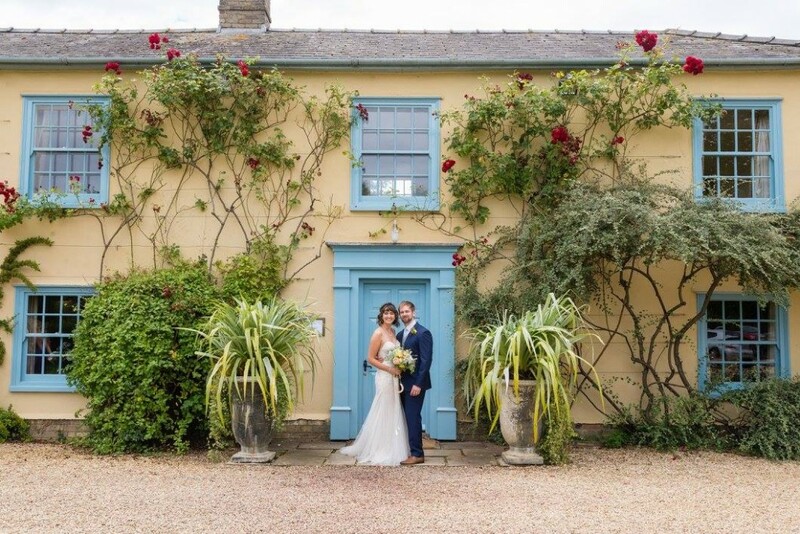 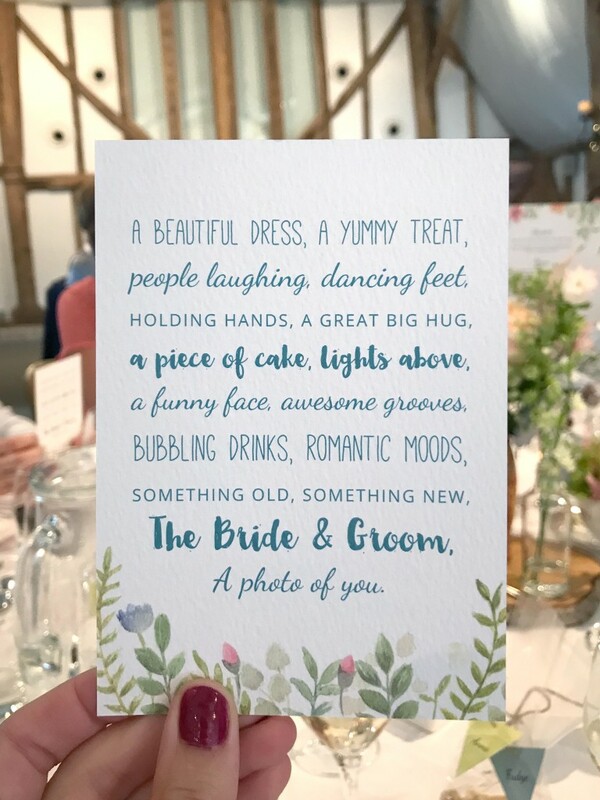 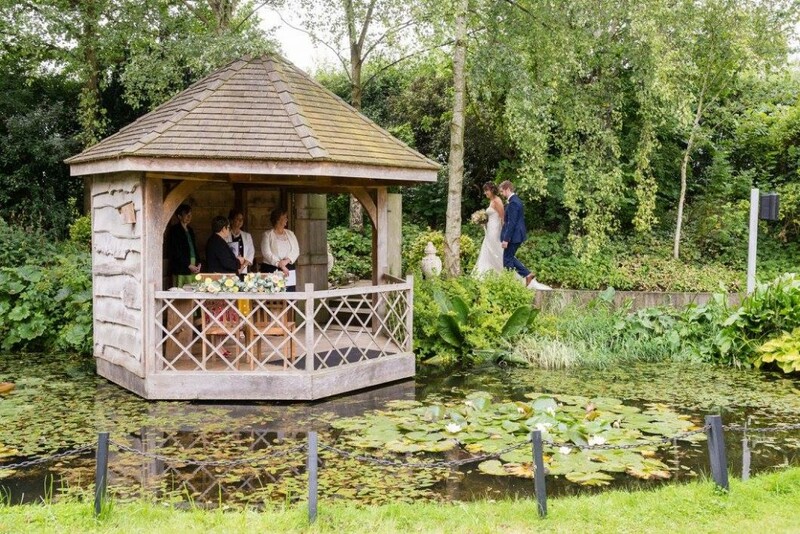 Will and Sian got married at the gorgeous South Farm Barn in Cambridgeshire which is venue surrounded by country gardens and beautiful flowers. 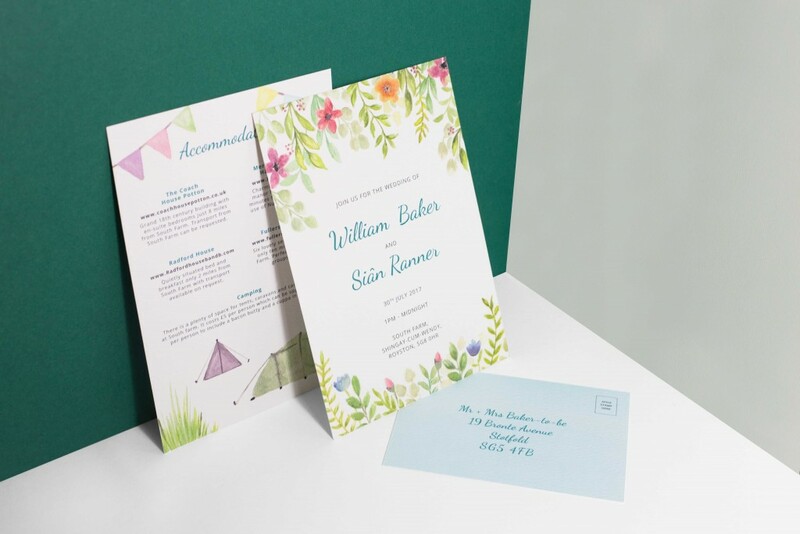 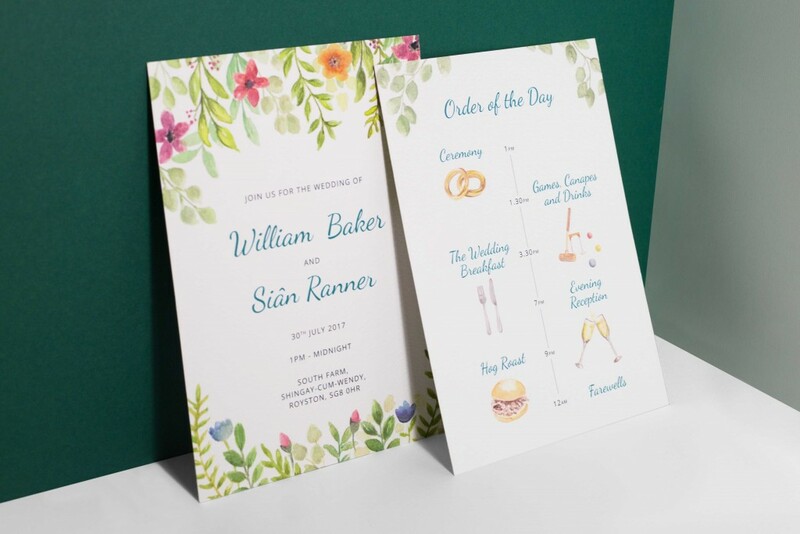 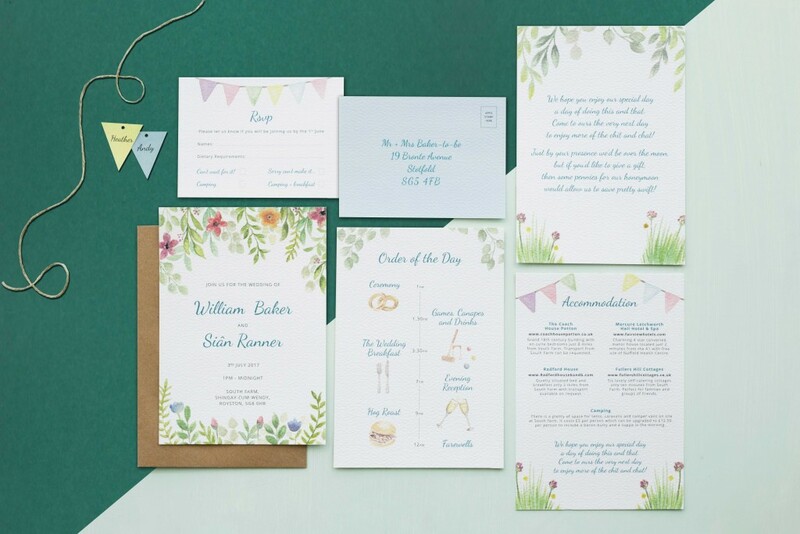 When designing their wedding stationery we decided to go down the route of ‘English country garden’, using hand painted watercolour florals to decorate the pages. 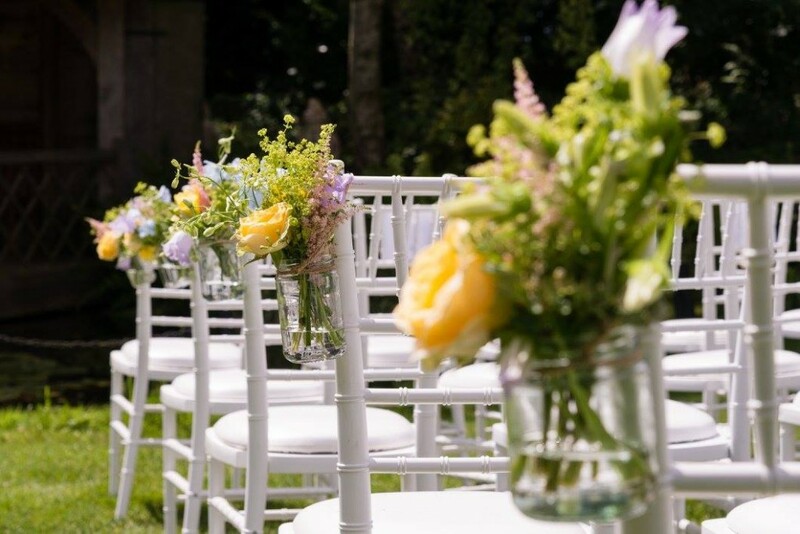 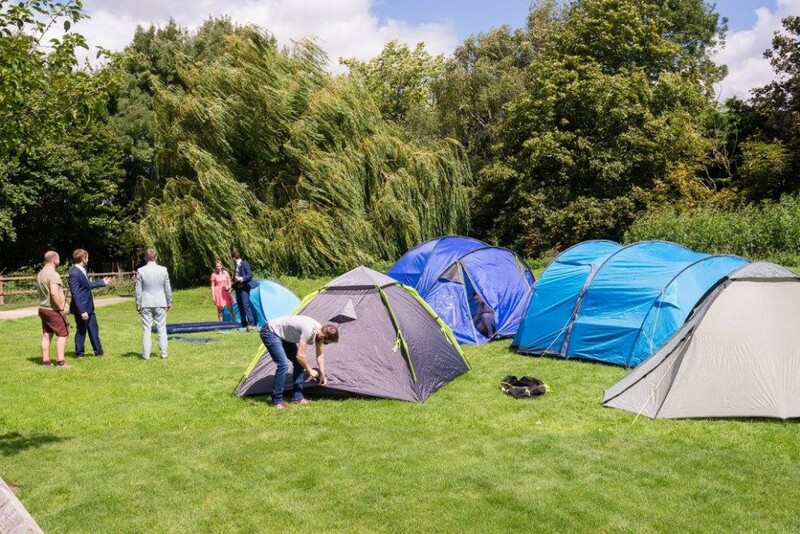 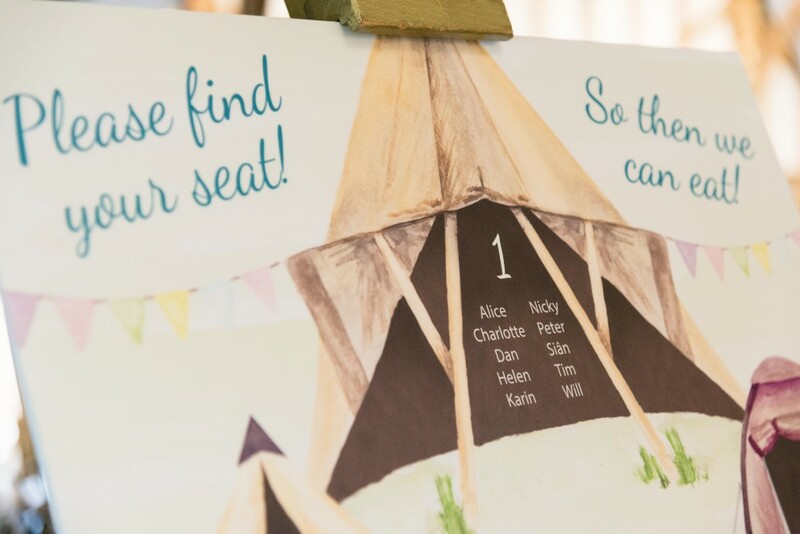 As some of their guests were going to be camping in the grounds of the farm on the wedding night, we also decided it would be nice to include some festival imagery of bunting and tents. 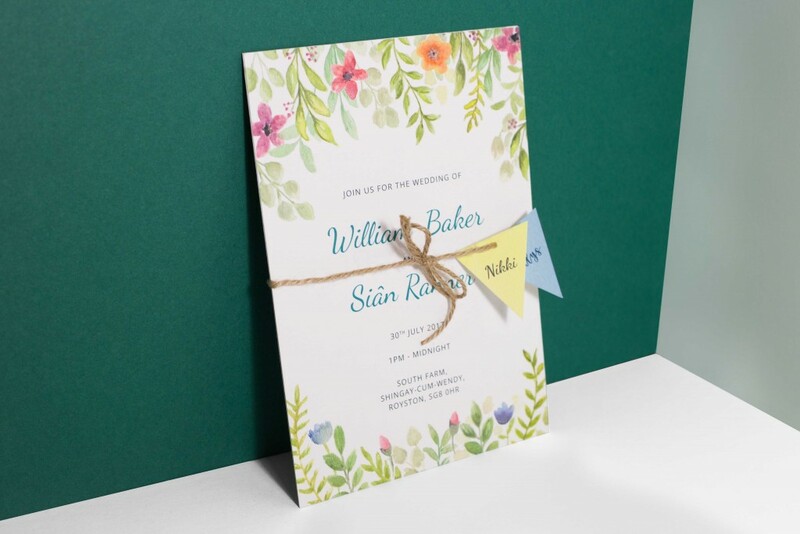 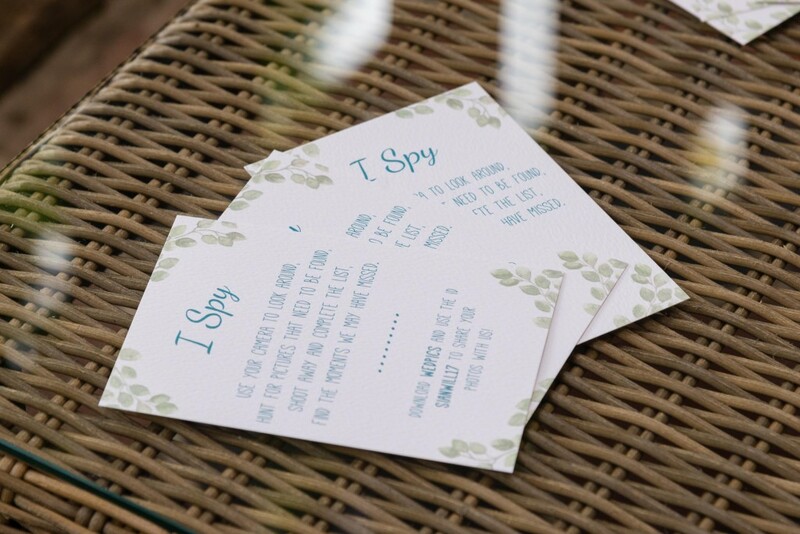 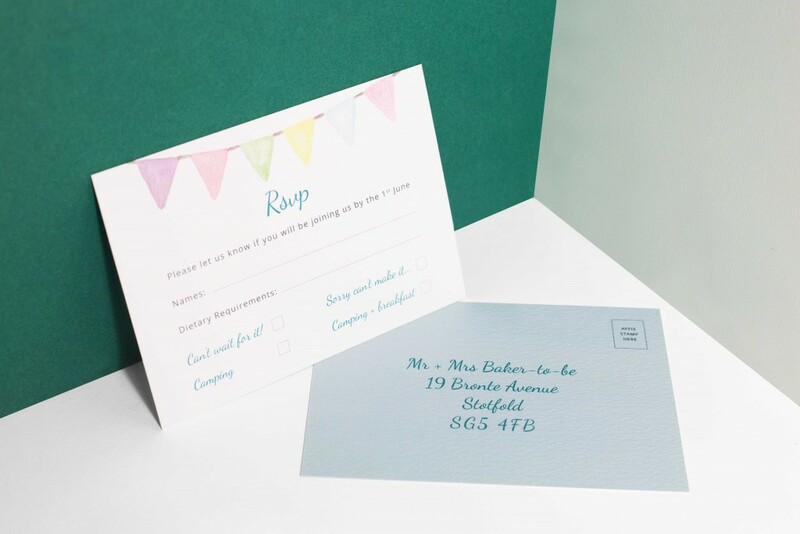 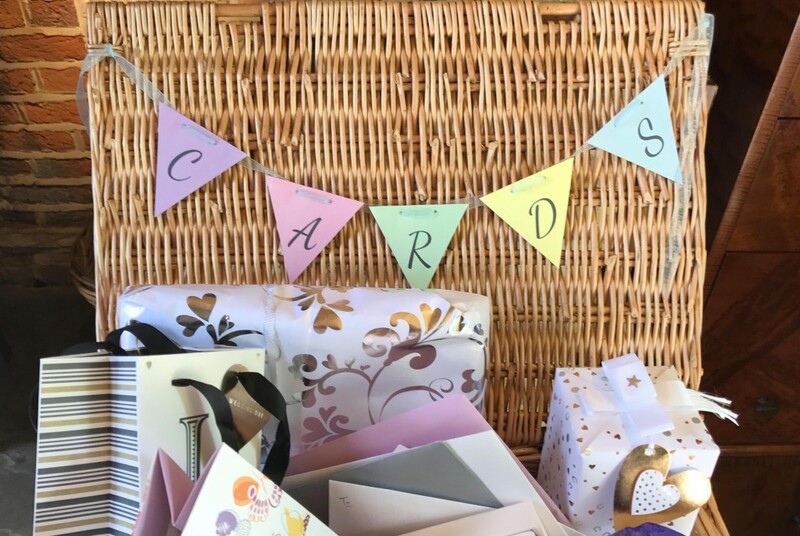 The invitation set was tied together with twine and little paper bunting flags with their guests names on. 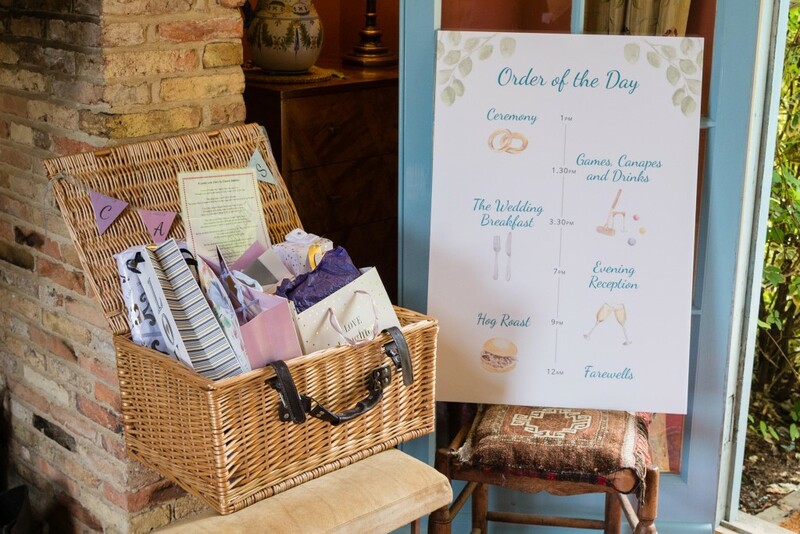 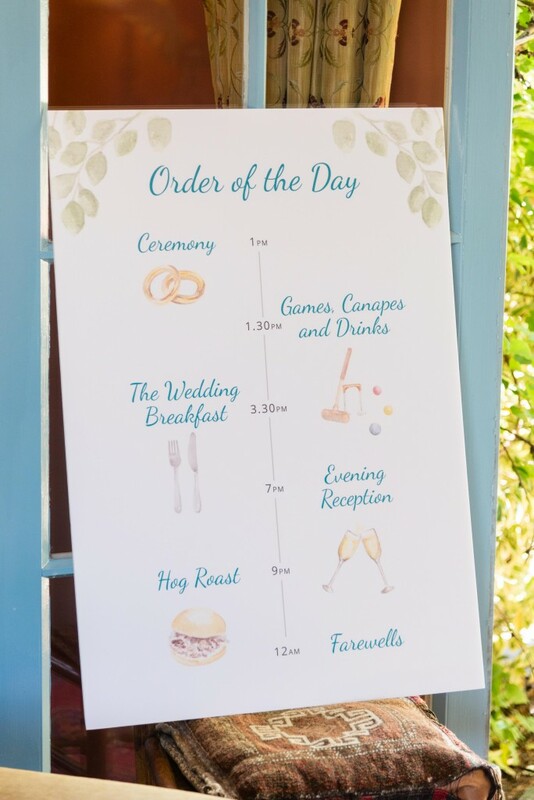 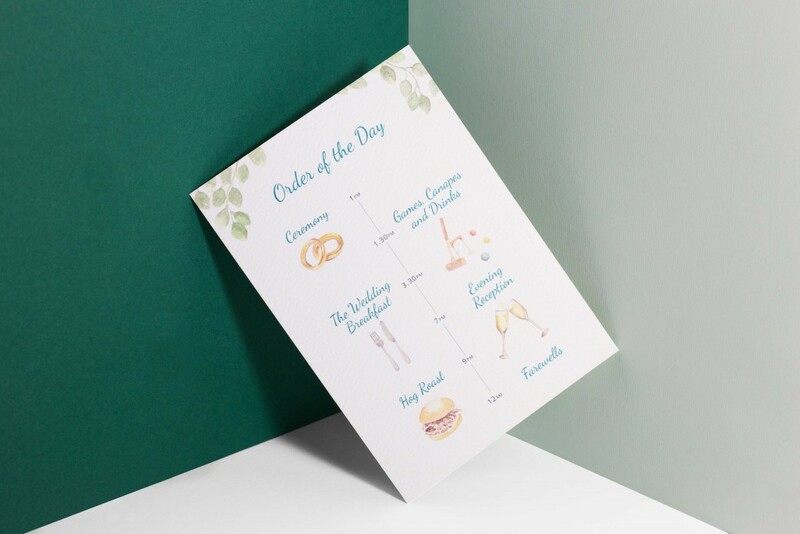 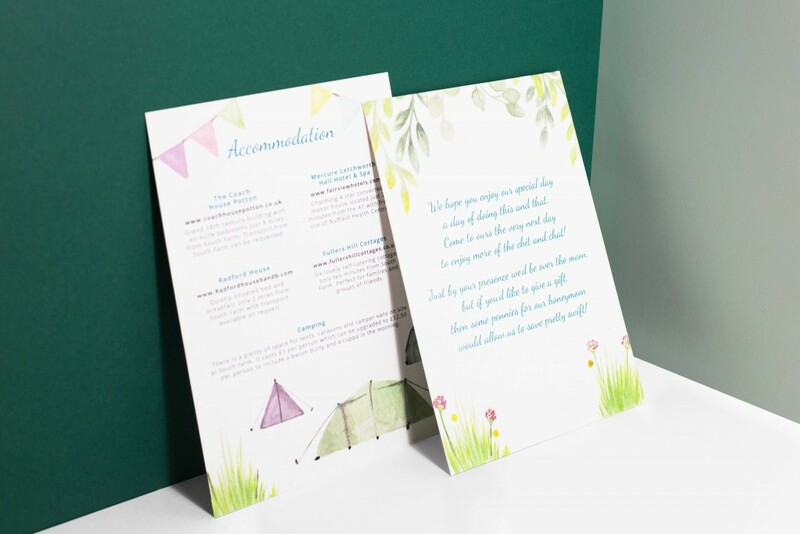 The main card featured a hand painted watercolour order of the day timeline and the information card has little paintings of tents on it to set the scene. 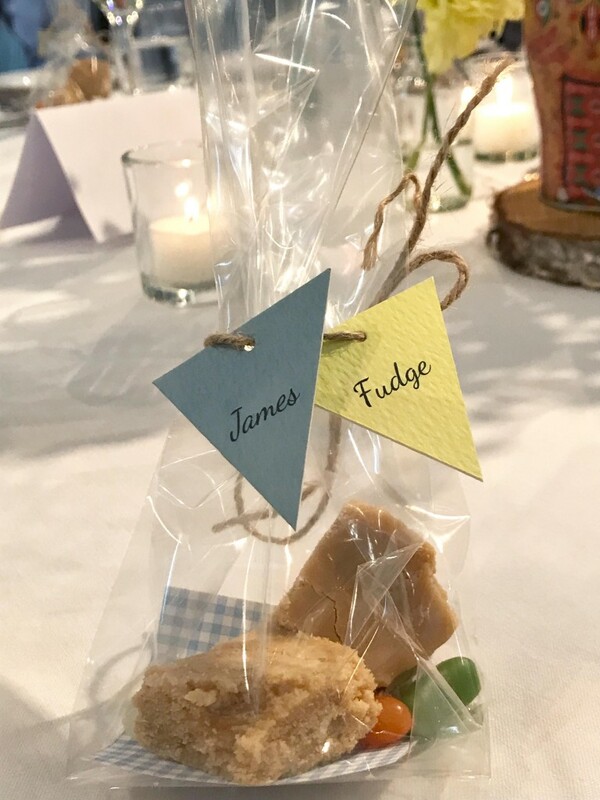 We continued the festival vibes in the on the day stationery items, the card box was spelt out using paper bunting flags and so were the favours bags, which doubled up as place names and contained homemade fudge. 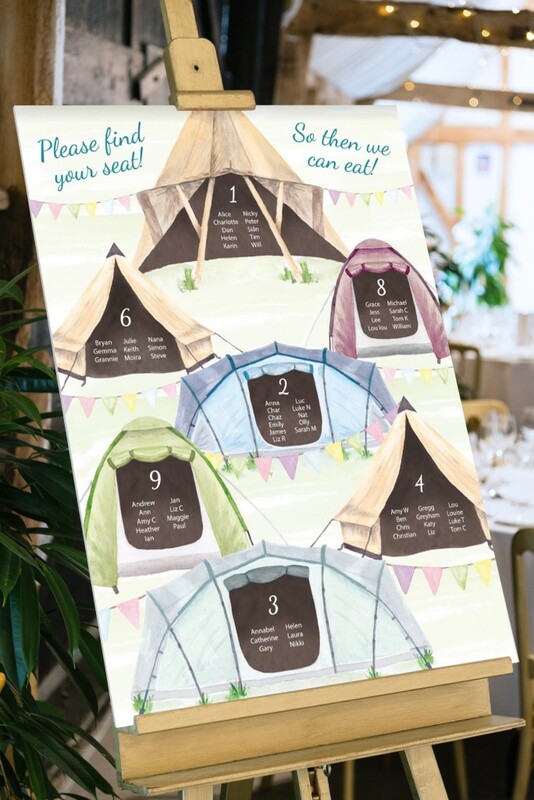 The table plan used tents to symbolise each table and the menus and table names used the same floral elements from the invitation to continue the theme so that everything matched perfectly!